My friend Polly and I attended this event last week at the National Arts Club–worth it just to get inside this gorgeous place on Gramercy Park! We arrived early, afraid of the usual crush of New Yorkers, but we had plenty of time to pick out choice seats before the room began to fill up. While we were waiting, there was a loop playing of the old Julia Child black-and-white TV programs; such fun to watch her slapdash style and hear her wonderful plummy voice. It was a large panel–6 plus the moderator, and Molly O’Neill, who didn’t make it, would have made 7. 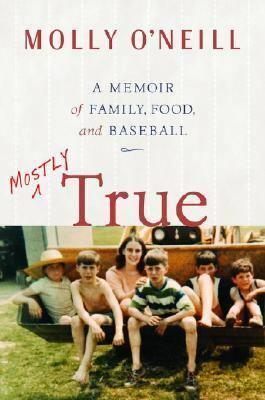 I was so hoping to see and hear her, mainly because I included her terrific memoir, Mostly True: A Memoir of Family, Food, and Baseball in my book. I do feel a connection with all those memoirists! Almost everyone on the panel had met Julia and I loved hearing their stories about her: her generosity, her focus and attention to detail, her sincerity, and the way she welcomed people into her life. Her first editor, Judith Jones, spoke about how, after making the rounds of several publishers, all of whom felt that there was no U.S. market for a serious French cookbook, the manuscript came to her, a newbie in the Knopf offices and she realized how wonderful it was. If you’ve seen the movie Julie and Julia, you probably remember the scene of Judith Jones making boeuf bourguignon from Julia’s recipe. 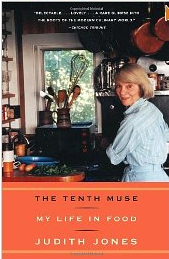 Jones’s own memoir of her stellar career in publishing, The Tenth Muse: My Life in Food, was published in 2008. The other panelists were Dana Polan, Laura Shapiro, Dr. Amy Trubek, Geoffrey Drummond, and Priscilla Ferguson. The moderator was Andrew F. Smith. I have a list of interesting cooks’ and foodies’ memoirs here. This entry was posted in Cooking & Food. Bookmark the permalink.